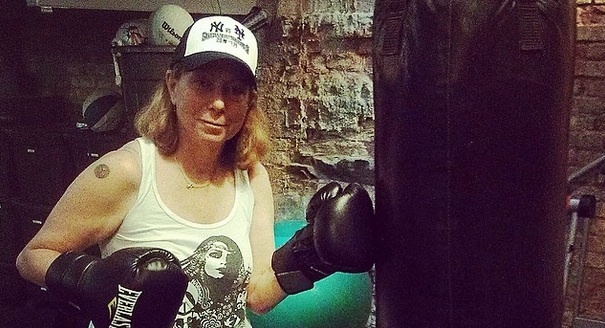 Jill Abramson, the former executive editor of the New York Times, is embroiled in a plagiarism scandal following the publication of her long-awaited book, Merchants of Truth: The Business of News and the Fight for Facts. 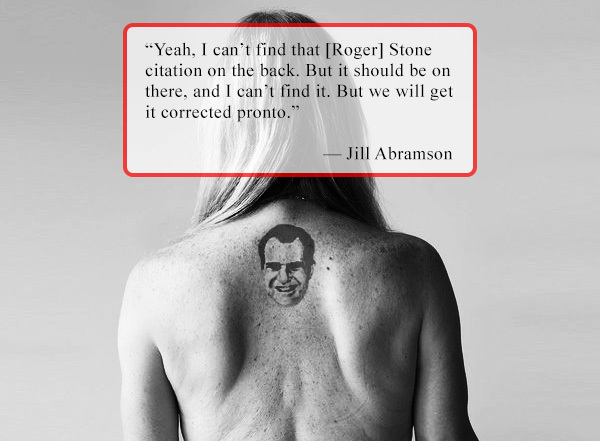 Vice News correspondent Michael Moynihan, among others, identified several passages in Abramson's book that appear to have been directly lifted (and slightly tweaked) from other publications. 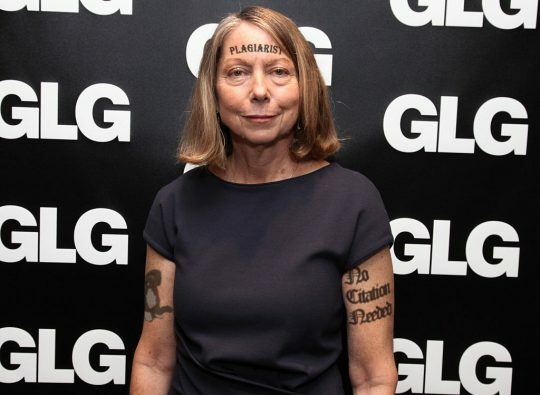 Abramson, who many believed was pushed out at the Times after a dispute with management over her pay, among other issues, said she takes the plagiarism accusations "seriously." She has argued, in less than convincing fashion, that she isn't guilty of plagiarism; she merely made "some errors in the way I credited sources" that were "completely unintentional." 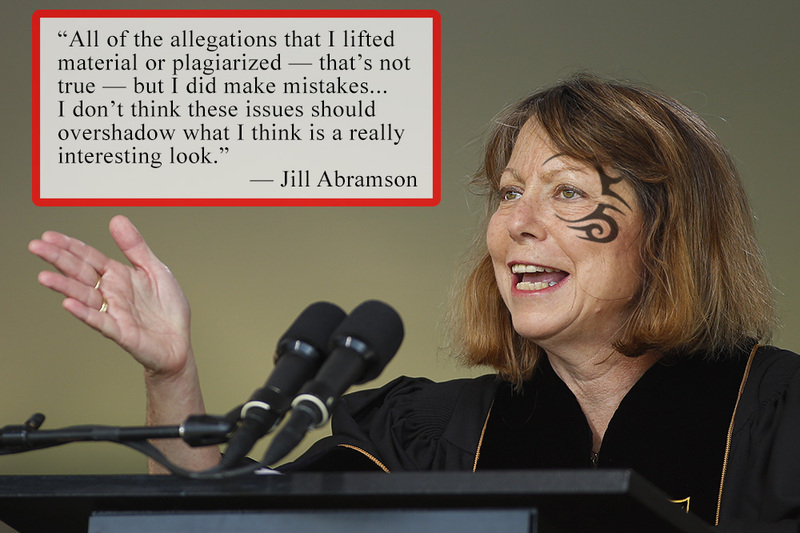 Abramson's other tattoos are pretty lame. On her back, she has an "H" — for her alma mater, Harvard — and a "T" in the style of the New York Times insignia. 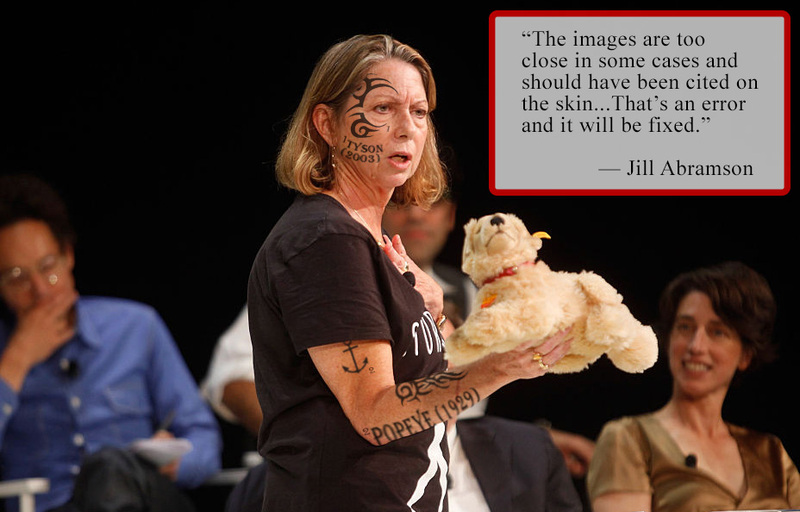 Few are interested in seeing what other tattoos Abramson might be hiding from public view, but many are asking: Does her flippant approach to literary plagiarism extent to the realm of body art? It's a fair question, and one that she won't be able to evade much longer if she wants to avoid a second embarrassing scandal. This entry was posted in Politics and tagged New York Times, Parody, Satire, Vice Media. Bookmark the permalink.